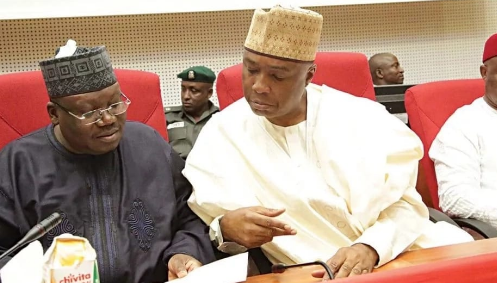 The ruling All Progressives Congress (APC) yesterday said it has no problem with Ahmad Lawan, its choice for the position of Senate President, meeting with relevant stakeholders in the People’s Democratic Party (PDP) to canvass for their votes. Despite the threat by Adams Oshiomhole, the National Chairman of APC, that it will have nothing to do with the PDP because the APC is the majority in the upper chamber of the National Assembly, Lawan was reported to have met with some PDP senators and governors, soliciting their support. 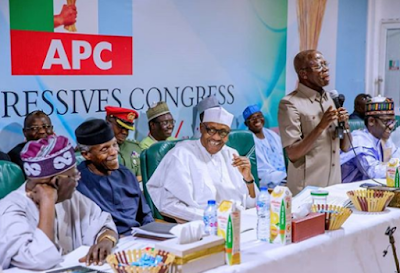 However, speaking in a chat with INDEPENDENT, Lanre Issa-Onilu, APC’s National Publicity Secretary, said the party has no problem with Lawan meeting with the PDP to canvass for votes. “Does he not have a right to campaign for the position of Senate Presidency? It doesn’t matter if he reaches out to PDP. If there will be votes from PDP, it is good. Part of the reason why he was chosen by the party is because he has the capacity to reach out across the divide.